Our guided Wolf Hunts are conducted from Aug 31st- Mar 1st. These are truly smart animals, and in our experience, among the most difficult North American game to hunt. Our state currently has a very generous limit of 5 wolves per hunter, so you are genuinely able to make the most of your hunting time. Idaho has very liberal regulations of weapons, however, it is highly recommended to use proper caliber and ammo in order to inflict minimal damage to the hide and an ethical one-shot kill. ​ The best strategy for this type of hunt is to sit and call and blend in with the environment. Patient is a virtue within these hunts. 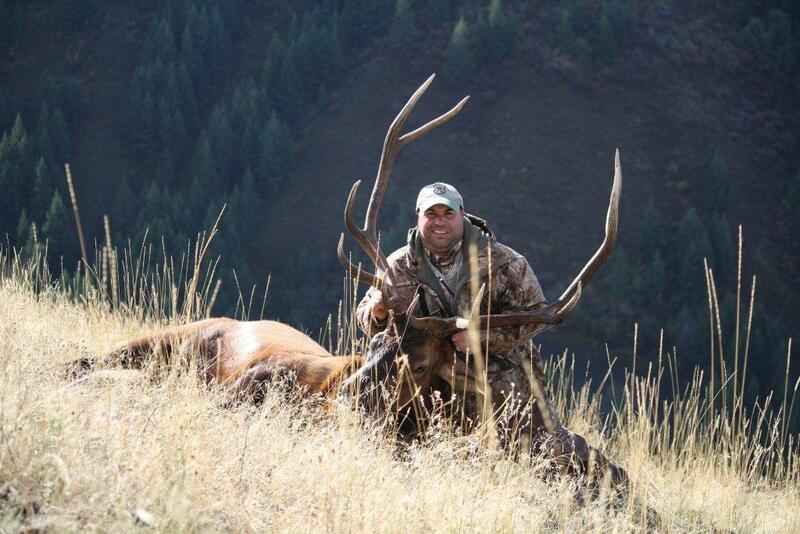 In order to ensure success, we conduct 3-4 hunts per year, providing 2 guides per hunter. 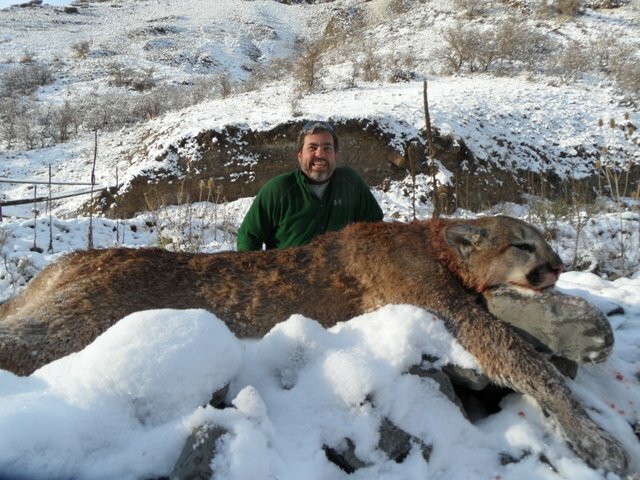 The best time for Mountain Lion hunts is in winter from Dec - Feb. The colder weather improves the odds to a near 100% success rate. In this climate, all of our hunts are conducted by use of snowmobiles and UTVs, truly making this specific big game hunt one of the most exciting! Guided Bear Hunts are available in the Spring and Fall. Hunters have the option to bait, spot and stalk, or hunt with the use of hounds. We have multiple bear-bait stations set up throughout the private lands. The C4 Ranch and Hunting Lodge is conveniently located near the Salmon River, where the bear population is high and with great quality. 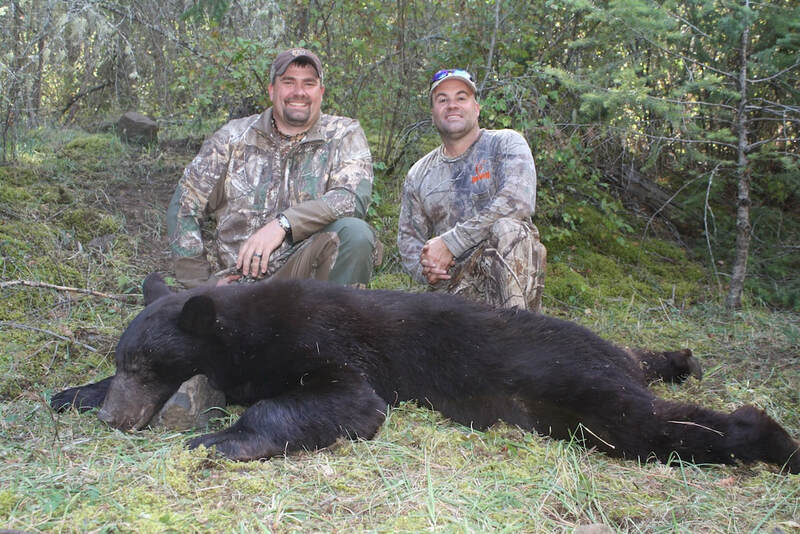 Idahos liberal restrictions allow Bear Hunting be done with bow, rifle, muzzle-loader or hand gun. We accommodate hunting of all styles! 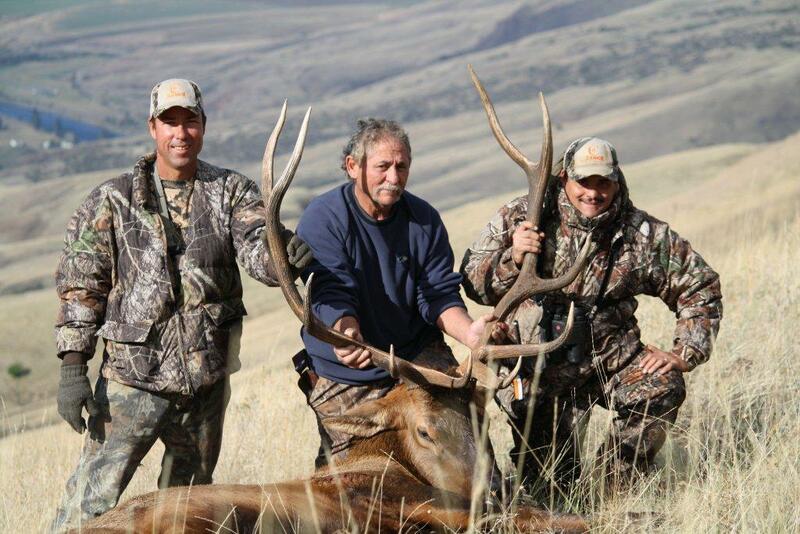 Idaho Mule Deer Hunting season is normally in Mid- October for rifles and archery typically, from August to late September. However, like Elk Hunting season, Mule Deer Hunting is at its height during "the rut" in the early fall when the males are more aggressive. Mule Deer are sometimes mistaken for Whitetail, but are much larger than similar species. With adult bucks often averaging 200 lbs, a more mature trophy buck can grow to be 300 lbs. At C4 Ranch and Hunting Lodge we use tree stands and trail cameras to monitor and size up deer, always giving you the advantage. We have everything you need for a great hunt! White-tailed Deer have many variety and are common throughout North America. In the lower foothills of the Clearwater Mountains and open grassy areas, Northern Idaho can provide the ideal habitat for this particular species. Our property starts in a basin and slopes up the mountain, which is ideal for White-tailed Deer migration. 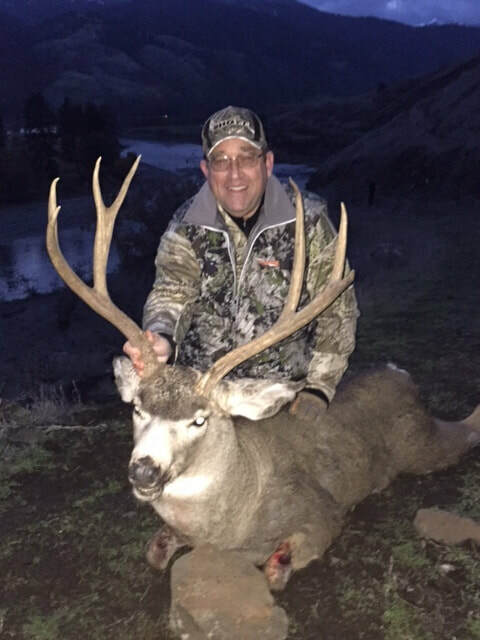 White-tailed Hunting season begins in "the rut" during mid- October and requires a valid license and deer tag to be purchased from Idaho Fish&Game in order to be eligible. 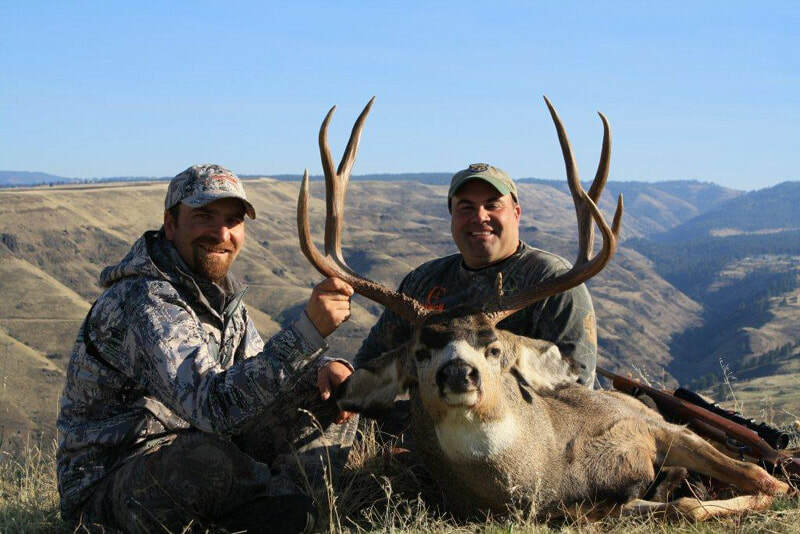 C4 Ranch and Hunting Lodge offers one of the best Whitetail Deer hunting opportunities in Northern Central Idaho.